Thompson Twins were a British new wave group that formed in April 1977 and disbanded in May 1993. They achieved popularity in the mid-1980s, scoring a string of hits in the United Kingdom, the United States, and around the globe. Thompson Twins were named after the two bumbling detectives Thomson and Thompson in Hergé’s comic strip The Adventures of Tintin. The band had up to seven members though their best known incarnation was as a trio between 1982–86. 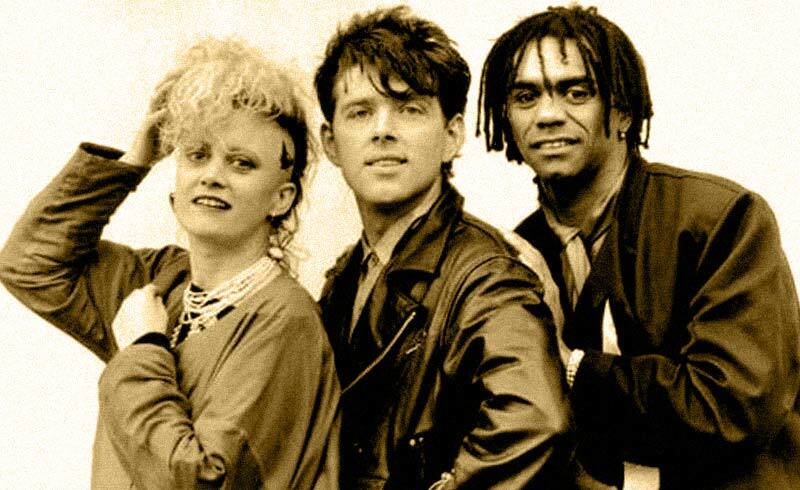 In 1977, the original Thompson Twins line-up consisted of Tom Bailey on bass and vocals, Pete Dodd on guitar and vocals, John Roog on guitar and Jon Podgorski (known as “Pod”) on drums. In 1980, the band released their first single “Squares and Triangles” on their own DIrty Discs label. A follow-up single, “She’s In Love With Mystery”, was issued later that year. By 1981, the line-up was Bailey, Dodd, Roog, Bell and two new members: former band roadie Joe Leeway on congas and percussion, and Jane Shorter on saxophone. 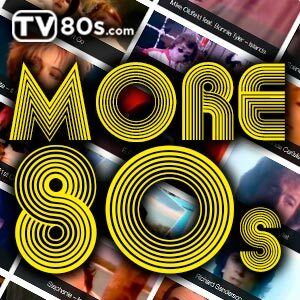 This line-up recorded the first Thompson Twins album A Product of … (Participation). Currie, who had been associated with the band for a few years, played and sang on the first album, but was not yet a full member. After the first album, the band’s line-up shifted yet again. Jane Shorter left, percussionist Currie was made an official member, and bassist Matthew Seligman, a former member of The Soft Boys and The Fallout Club, joined. Bailey moved to keyboards and guitar in addition to serving as lead vocalist, with Leeway handling vocals on a few tracks. The band signed to Arista Records and released the album Set.Thomas Dolby played some keyboards on Set and some live gigs, as Bailey had little experience with synthesizers before then. Set contained the single “In the Name of Love”, sung and largely written by Bailey. It became a No. 1 dance club hit in the US, and an album entitled In the Name of Love was released in the US to capitalize on the song’s popularity. It entered the US Billboard 200. After the success of “In the Name of Love”, Bailey, Currie and Leeway, wanting to pursue the single’s different sound, toyed with the idea of starting a new band on the side, which they planned to call ‘The Bermuda Triangle’.When “In The Name Of Love” failed to make a substantial impact in the UK record charts, this plan was abandoned. However, at the same time, manager Hade convinced Bailey, Leeway and Currie to downsize the Thompson Twins to a core of the three in April 1982. The band broke into the UK Singles Chart and the US Billboard Hot 100 chart at the beginning of 1983 with “Lies” and “Love On Your Side”, which became the band’s first UK Top 10 single.They then released their third album, Quick Step and Side Kick,which peaked at number 2 in the UK and was later certified platinum there. Further singles followed with “We Are Detective” (another Top 10 UK hit) and “Watching”.All three received songwriting credits, though the band publicly acknowledged Bailey as the songwriter, with Currie contributing lyrics and Leeway focusing on the stage show.During 1983, the band had the opening spot on The Police concert tour in the US. A new single, “Hold Me Now”, was released towards the end of 1983. The song was an international chart success, peaking at No. 4 in their native UK where it became the band’s biggest seller earning a gold disc, and reached No. 3 in the US in the spring of 1984 becoming their biggest American hit. The band’s new album, Into the Gap, was released in early 1984 and became one of the year’s biggest sellers, selling five million copies worldwide. It topped the UK Albums Chartand was later certified double platinum there. Further hit singles from the album followed with “Doctor! Doctor!” (UK No. 3)and “You Take Me Up”. Other singles included a new version of the album track “Sister of Mercy” (UK No. 11), and “The Gap”. The band embarked on a world tour in support of the album, which had also made the US top 10. A new single, “Lay Your Hands On Me”, was released in the UK in 1984 and reached No. 13 in the UK charts.However, while working on the follow-up album to Into The Gap, Bailey suffered a collapse from exhaustion. The band’s planned next single, “Roll Over”, was cancelled. The band had already parted company with their producer Alex Sadkin, and Nile Rodgers was subsequently called in to help finish the album. Released in September 1985, Here’s To Future Days reached the Top 5 in the UK and the Top 20 in the US,though failed to come close to the success of Into The Gap. It spawned the single “King For A Day”, which peaked at No. 22 in the UK,but reached No. 8 on the US chart. Other singles included a new US version of “Lay Your Hands On Me” (US No. 6),the anti-drug song “Don’t Mess With Doctor Dream” (UK No. 15)and an unsuccessful cover of The Beatles’ 1968 hit “Revolution” which became the band’s first single to fail to make the UK Top 40 in three years.